We actually found ocean debris above the shallow cliff, and up on the trail, before we arrived at the mouth, suggesting that there has been some prior serious over-topping. At almost high tide we arrived at the mouth of Tahkenitch Creek. 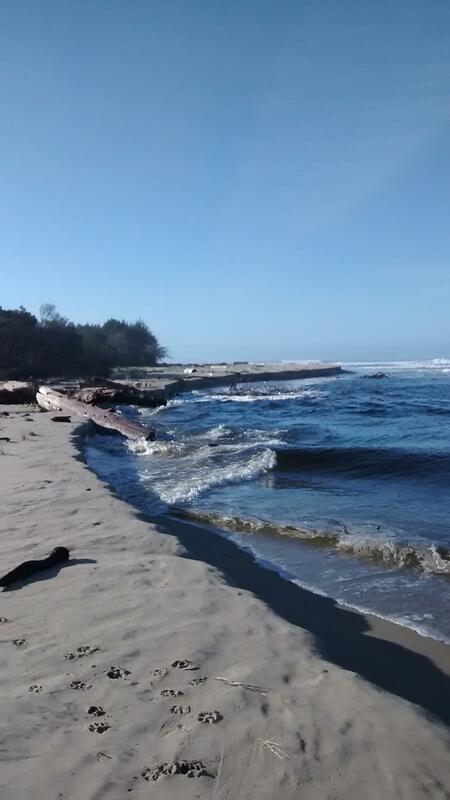 Periodic waves, coming over the beach into the mouth, over-topped the chiseled mini-cliff, and brought into the mouth a number of large logs and tangles of tree branches. 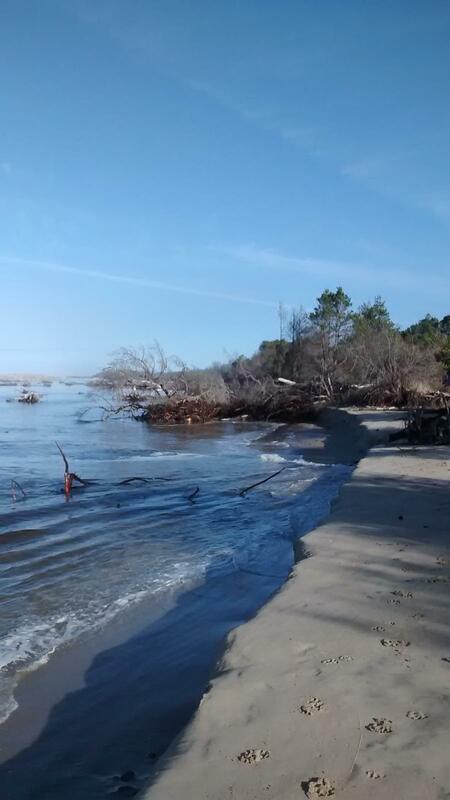 A friend and I, and our 4 dogs, hiked to the beach from the day use parking lot at the entrance to Tahkenitch Campground, and arrived at 30 min before high tide. We've been down this trail a number of times, but have never seen Tahkenitch Creek mouth so full or full of action. 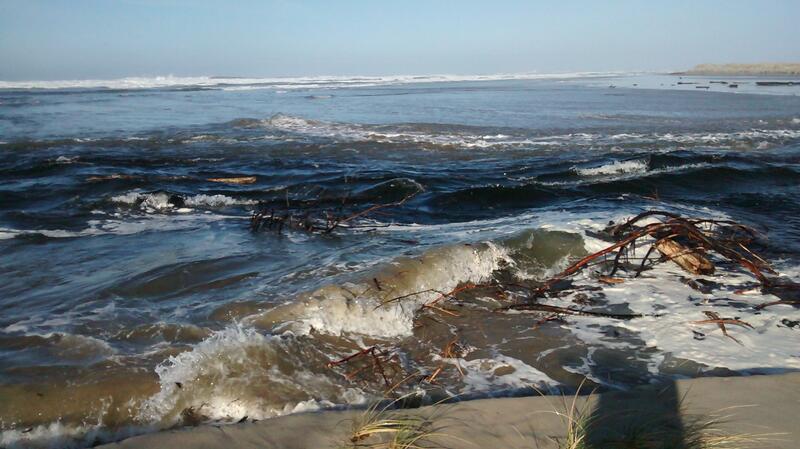 The high tide was predicted to be 8.3 today, and there was quite a bit of wave action up into the mouth. At times the waves over-topped the low cliff to the water, which during the summer months is quite a bit higher. Please take a look at the photos. South side of Tahkenitch Creek mouth. Sands heavily blown up to result in gradual slope to foredune instead of eroded "cliffs" as usually there. Beach was clean, people just enjoying nature. Observed: small sand crabs, small crabs, undulating beach sand, stretches of new large and small wood debris.